Deliver adaptive authentication to build digital identity trust across the entire customer lifecycle for a more seamless digital experience. The omnichannel customer experience is a key driver for digital transformation. Too often, security and authentication act as a roadblock to this experience. Provide secure customer interactions without compromising a seamless digital experience by adding adaptive, step-up authentication for applications that are protected by the Trusteer Pinpoint platform. 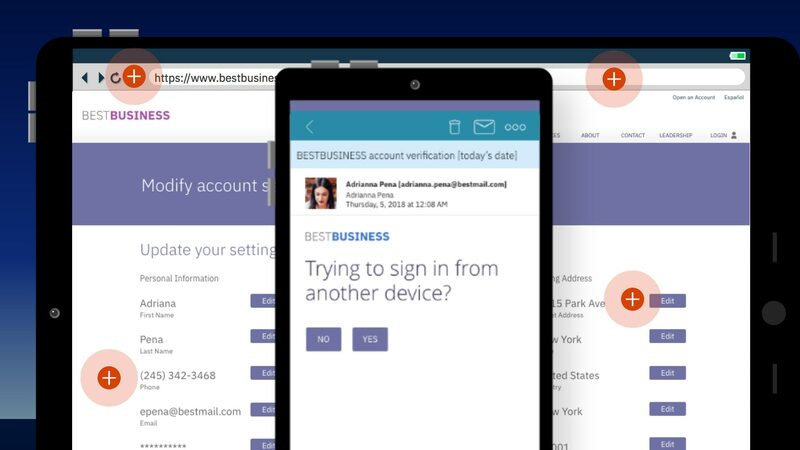 Verify and help protect your client’s high-risk digital interactions on external-facing applications with easy-to-implement single and multifactor step-up authentication, delivered from a cloud service. Efficiently manage digital identity trust across the complete customer lifecycle with a single platform. Address FFIEC, 2FA, or PSD2 standards with a unified platform for fraud detection and step-up authentication. Create more seamless customer experience by only interrupting high risk users or activity.